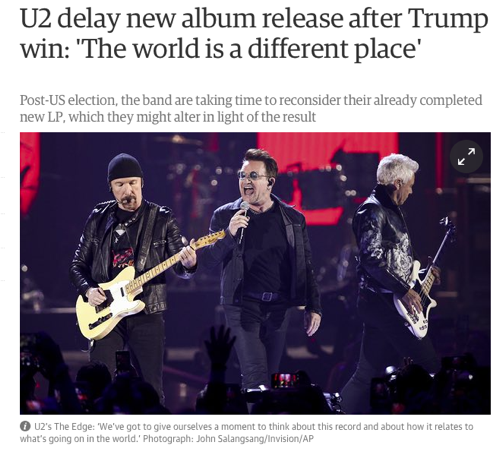 JAN 11, 2017 – U2 has delayed the release of their new album because of the result of the US Presidency election results. Edge told RS the the band was putting their new album on hold for some “breathing space” to consider what they wanted to say through the album about the result of Donald Trump winning the election in a surprise. 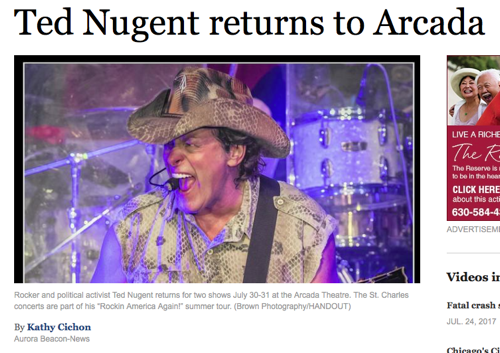 Perhaps a new song? We look forward to what they want to say. Read more on The Guardian at the link below.